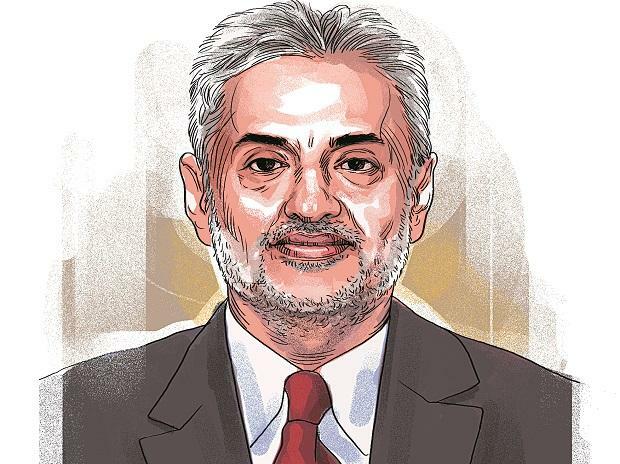 Deepak Talwar was one of the country’s most high-flying corporate lobbyists. The suave, bearded boss of Deepak Talwar Associates, who operated in Delhi for many years out of an apartment aptly named “White House”, was well-known in the corporate world for offering his Midas’ touch to global multinationals finding it a challenge to negotiate the complex rules of foreign investment. He lobbied for anything they sought — permission to set up shop in India; tweaking rules, which would make it easier to do business; getting more seat allocation by reworking bilaterals for global airlines; and even helping them to fight their corporate battles in the media. But on Wednesday the high-flying lobbyist was grounded after the UAE government (he was staying in Dubai after slipping out of India for months) gave permission to send him back to India in connection with various CBI (Central Bureau of Investigation) cases that included alleged misutilisation of more than Rs 90 crore obtained from foreign entities for corporate social responsibility (CSR) jobs. His brush with the CBI and other investigative agencies is not new. The CBI named him last year in an FIR relating to Air Asia, where the allegation is that the airline and its executives allegedly tried to manipulate government policy by trying to change the 5-20 rule (the rule was that a domestic carrier needs at least 20 aircraft and five years of flying before it can go abroad) in order to get the international licence earlier. The FIR alleges Talwar was hired to influence the government and get the rules changed. And his name has cropped up for preliminary enquiry after the Niira Radia tapes episode, when the CBI was investigating the role of agents and touts in the aviation sector. Also two years ago the income-tax department raided his premises on allegations of not disclosing income of over Rs 1,000 crore, a charge Talwar has challenged. In aviation business circles, he has been known for playing a key role in helping West Asian airlines to increase their seat allocations and successfully revising bilateral agreements in their favour. But that has been disadvantageous, experts say, to Air India, which has been losing its share on this lucrative route. And they say he has been close to Praful Patel, who was aviation minister when key decisions about the industry were taken. Talwar, however, came into prominence by lobbying for Coke to change FDI rules on carbonated drinks. Coca Cola wanted to set up a fully owned subsidiary because its joint venture with the late Rajan Pillai was not going smoothly. But Pepsico, which came a few years earlier, was given permission only if it did a JV (with Voltas and Tatas), used a hybrid brand name (Lehar), and met export obligations. But Talwar managed to get his client 100 per cent FDI, but without any of these restrictions, scoring a major victory and elevating his stature in the world of lobbying. Those in the know say he was close to Amar Nath Verma, the powerful principal secretary in the PMO, but his networking skills, close relationships with politicians, government officials and media (he set up a public relations agency also) and ability to deliver attracted hordes of global companies, which included AIG, Amway, and Budweiser, to hire him. But he did not always succeed. He was unable, for inst­ance, to get what British Ame­rican Tobacco (BAT), his client which held equity in ITC, wanted — either set up a fully owned subsidiary in India and do its tobacco business bringing in their foreign brands, or take over control of ITC by taking over control. However, ITC Chairman Y C Deveshwar fought back both and was able to get the support of the government as well as financial institutions to back him. Talwar was not able to push through the fully owned subsidiary or get control for the UK tobacco company in ITC. Those who have worked with him say though he started as a lobbyist he changed tack by getting into businesses with foreign partners by taking minority stakes, but helping them in negotiating the Indian rules of business and foreign investment. But some of them were controversial. He got into a joint venture (he had 24 per cent) with Telecordia, which was one of the two companies allowed to implement mobile number portability. But despite the fact that the Foreign Investment Promotion Board rejected the proposal on security concerns, it was given conditional clearance later, which caused consternation. He also entered into a joint venture with Air Rianta and won concessionaire for duty-free shops in DIAL’s new T-3 airport despite competition from over four other players. But the contract was also mired in controversy when a bidder went to court, challenging the tender conditions on grounds of being non-transparent and also raising issues on the evaluation method. In another joint venture, Talwar managed to grab the food and beverage concessionaire again in Delhi.